We get a lot of questions regarding tire pressure monitoring systems in the Aston Martin vehicles. At TPMS DIRECT we strive to have the most competitive prices and the most accurate information possible. As tire pressure monitoring has become more relevant in day to day use, we will continue to bring you the most up to date information as possible. You are not obligated to buy to sensors from the dealership, we carry the same sensors that are in your vehicle right now so whether your changing to winter tires, or just updating to aftermarket wheels we can get you the sensors that you need. Aston Martin approached Beru to design more efficient monitoring systems for their vehicles during the Nurburgring 24 hour race. Beru F1 systems TPMS comprises one electronic sensor per wheel, with receiving antennas mounted on the vehicle. The antennas are linked to an ECU which sends data to the driver and pit garages. With data output on a high speed CAN bus, the Aston Martin race cars TPMS is linked to a bespoke display in order to inform the driver of any variance in temperature and pressure, and provide any necessary deflation warnings. In other motorsport applications, it is possible to integrate the system with the car’s existing dashboard. Aston Martin first approached Beru F1 systems in 2009 to supply its DigiTyre system. With extensive knowledge of system set-up for GT cars, Beru swiftly identified its ‘Lite’ system as the most appropriate for the race cars. This system uses an OE grade ECU, antennas and low frequency (LF) triggers. The company used race specification sensors as a precaution, although logged data later revealed that OE specification sensors would perform to the same level. The system used on the 2010 cars utilised production specification TPMS hardware, with only software modifications to make it suitable for race use. The LF arrangement is designed to automatically detect which wheel sensor is fitted to each corner of the car. This is said to offer a significant advantage considering the high number of pit stops made per car during the Nurburgring 24 hour race. The automatic learning facility is common to the system now fitted to the roads cars, avoids any manual positioning of wheel sensors, and allows wheels to be fitted to any corner of the car. 2. Apply the parking brake. 3. Using the DIC, press the vehicle information button until the RELEARN TIRE POSITIONS message displays. If your vehicle does not have the DIC buttons, press the trip odometer reset stem located on the instrument panel cluster until the RELEARN TIRE POSITIONS message displays. If your vehicle has the DIC buttons, press the set/reset button. The horn will sound twice to indicate the TPMS receiver is ready, and the TIRE LEARNING ACTIVE message will display. If your vehicle does not have the DIC buttons, press and hold the trip odometer reset stem until the horn chirps twice and the TIRE LEARNING ACTIVE message is displayed. 4. Alternate method: Simultaneously press the keyless entry transmitters lock and unlock buttons until a horn chirp sounds or use the Tech 2 to initiate the learn process. A horn chirp will sound indication the mode has been enabled. 5. Starting with the left front tire, hold the antenna of the J-46079 against the tire sidewall close to the wheel rim at the valve stem location then press and release the activate button and wait for a horn chirp, or increase/decrease the tire pressure for 8-10 seconds then wait for a horn chirp. The horn chirp may occur before the 8-10 second pressure increase/decrease time period has been reached, or up to 30 seconds after the 8-10 second pressure increase/decrease time period has been reached. 6. After the LR sensor has been learned, turn OFF the ignition to exit the learn mode. 7. After the learn mode has been exited, adjust all tire pressures to the recommended PSI. 8. For proper vehicle operation and to ensure coverage under the provisions of the new vehicle warranty, the vehicle must be reprogrammed with the correct calibrations as soon as the accessory wheels are installed. 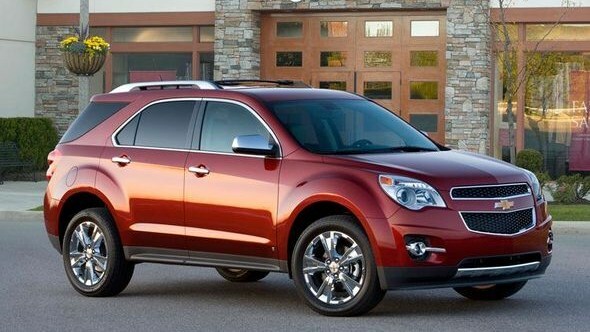 General Motors Co.is recalling about 36,000 Chevrolet Equinox and GMC Terrain vehicles for defective and malfunctioning tire pressure monitoring systems. Vehicles manufactured from July 18, 2011 through September 6th, 2011, have a tire pressure monitoring system that may fail to alert a driver when the vehicle’s tire pressure is at the proper level of underinflation. As required by the National Highway Traffic Safety Administration, the warning lights must come on when the pressure in a tire is 25% below the vehicle manufacturer’s recommended cold tire pressure. The defect was discovered by a GM customer using OnStar and noticed that his monthly vehicle status report did not provide a tire pressure reading. GM will recalibrate the tire pressure monitoring system free or charge. 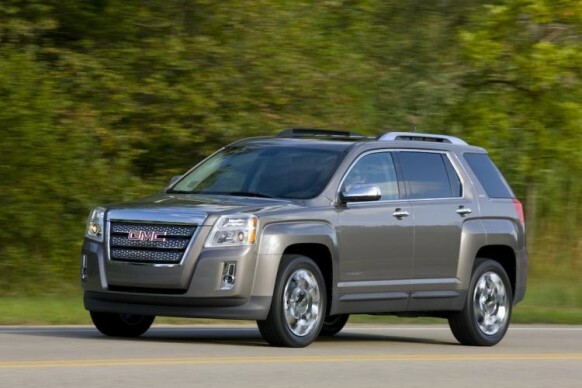 If you drive a Chevrolet Equinox or a GMC Terrain manufactured from July 18, 2011-September 6, 2011, please take your vehicle to your local GM dealer and have your TPMS checked for defects, updated, and recalibrated. Maintaining proper tire pressure helps your tires last longer, reduces fuel consumption, reduces CO2 emissions, and most of all, is extremely important for driver and passenger safety. Ludwigsburg, November 7, 2011 BorgWarner BERU Systems direct-measuring Tire Safety System (TSS) alerts drivers of the new VW Passat to low tire pressure, contributing to increased safety as well as better fuel economy. Featuring a new slim design, the third generation TSS is standard equipment in production models sold in the U.S. and is available as an option in Europe. Beginning in 2014, tire pressure monitoring systems will become mandatory on new vehicles throughout the European Union. According to a study by the Federation Internationale de l’Automobile (FIA) in cooperation with tire manufacturer Bridgestone, about 2.11 billion gallons (8 billion liters) of fuel are wasted worldwide each year due to underinflated tires, corresponding to an added 18.4 million tons of CO2 pollution. These same experts estimate a loss in tire pressure of as little as 0.6 bar increases fuel consumption about 4 percent and decreases the life of the tire by up to 45 percent. BorgWarner BERU Systems third generation TSS consists of a compact control unit with an integrated antenna and four wheel electronic units. The system measures the central pressure and temperature of each tire. Through signal strength analysis from the antenna, TSS detects the position of each wheel and informs the driver of a deviation of as little as 0.2 bar from the specified tire pressure. Local antenna placement offers vehicle makers more flexibility under the hood, and with just half of the components of the previous model, the new slim design is also more cost effective. The BorgWarner BERU Systems TSS provides high accuracy, responds more quickly and offers greater protection from interfering signals. 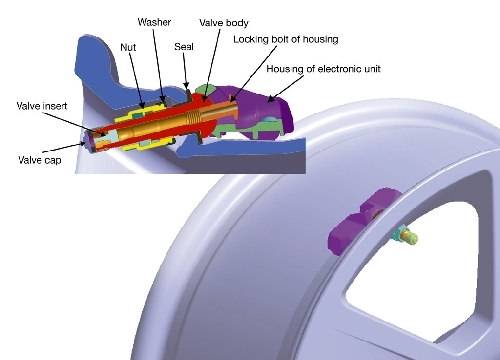 The first type is a sensor that is mounted to the rim as a part of the valve stem. This type of valve TPMS sensor can be identified by checking the valve stem on your wheels for a metal valve with a ferrule nut. These TPMS sensors are common on GM vehicles several other imports including Nissan, Toyota, and Honda. If your vehicle uses this type of sensor, please remember that plastic valve caps must be placed on all the sensors. Using a metal cap or no cap at all will cause the valve core to malfunction and result in the sensor needing to be replaced. TPMS Direct sells valve-type sensors complete and ready for installation. The second type of sensor is commonly used by Ford. This sensor is attached to a metal band on the inside of the rim and mounted opposite of the valve stem. This band-type TPMS sensor is also sold at TPMS Direct complete (with bandclip) and ready for installation. The third type is a sensorless tire pressure monitoring system that was used prior to the standardization of TPMS due to the TREAD act. To ensure proper tire pressure, this system measures the rolling diameter of each wheel. This type of TPMS is now considered inefficient due to problems with tred wear, aftermarket wheels, different sized tires, and other malfunctions. This sensorless TPMS is common on GM vehicles before the passing of the TREAD act. Tire Pressure Sensors for the 2010-2012 Chevrolet Camaro LT LS and SS Models are available at TPMSDIRECT.com. Now you can check the pressure in your tires from the comfort of the drivers seat, and with the rainy season coming up I am sure this will come in handy! Now that you have your sensors because of upgrading wheels, or replacing broken ones. We are going to go over how to reset/recalibrate the sensors. You can do this without any special tools, and without a trip to the dealership. Save time and money, and feel free to email our customer service representatives at sales@tpmsdirect.com. recalibration. It ask you if you would like to start the recalibration, select yes. 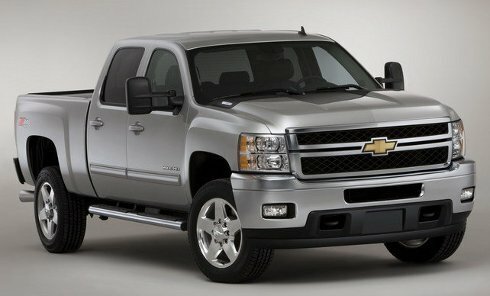 This will work for 2010 and 2011 but not the new 2012 model. TPMS DIRECT is proud to offer both aftermarket and genuine OEM replacement parts for a wide variety of imported and domestic cars and trucks. In our list of parts we include genuine OE brand Chevy Camaro parts, it means it may be possible for you to get the exact same OEM (Original Equipment Manfacturer) Camaro TPMS you’d get at the Chevy dealer or from your Chevy mechanic, but for a lot less money. The Gen 1 sensors seem to last about 5 years on Ferraris and the Gen 1.5 about 8 years. So if replacing sensors, try and find Gen 1.5s. Ferraris use 43 mm valve stems, the same size as most Mercedes cars. 2) the tire pressure calibration button (or similar name) can be depressed in the “on” ignition position for five seconds before starting and the system will calibrate itself after a 20 minute or so drive. You will see a CAL or similar indication after depressing the button for five seconds. 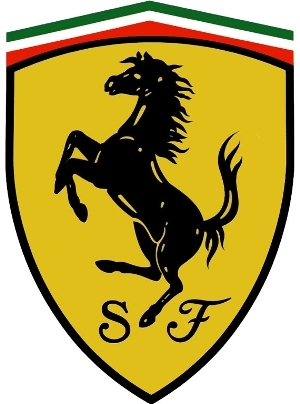 Note: your Ferrari technician can tell how much battery life remains on each TPMS sensor using the SD2/3. He can also set the TPMS ECU to a different tire type if you change to a tire that requires different tire pressures than those originally fitted. If you are receiving a TPMS warning light and want to see if it is just TPMS sensors, try adding an additional 5 psi of tire pressure and do a calibration and see if the lights go out. If they do, all you need are TPMS sensors. If they do not, drive the car for 10-20 minutes to warm the tires and raise tire pressures further, stop and turn off the ignition and use your calibration switch one more time and see if the system will calibrate. If the lights go out with the higher tire pressures from heating, all you need are new TPMS sensors. You will lose this calibration once the car cools down, of course. The higher tire pressures make it easier for the TPMS sensors to read and transmit a pressure. If neither attempt results in a calibration, see your technician for further analysis. Ferrari TIRE PRESSURE MONITORING SYSTEMS or TPMS are available exclusively at TPMSDIRECT.COM We carry TPMS for all models Ferrari that are factory equipped with TPMS. We only stock original equipment, the same sensors that are in your Vehicle now. We can take the guesswork out of what sensors you need. The TPMS system in the Ferrari is a lot less complex then it may seem and many models use the same sensors. Click here to go to the sensors on our page. Feel free to email us with questions or inquiries at sales@tpmsdirect.com and we’ll be happy to assist you.